Davitt Driveways: Tarmac Dublin Davitt Driveways is a well known and trusted tarmacadam, asphalt and paving company based in Co. Dublin. 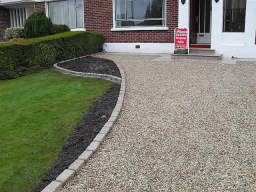 http://davittdriveways.com/dublin-paving-tarmac-contractor/ Operating since 1998, we can safely say that we have a generation of service behind us. Why have we lasted so long? Firstly, the reason that we have been in business for so long, is that we are very good at what we do. And secondly, over the years we have gained an excellent reputation for our good quality work and reasonable prices. As a result, we get inquiries from as far afield as Kilkenny, Dublin, Waterford, Dublin, Carlow and Kildare. 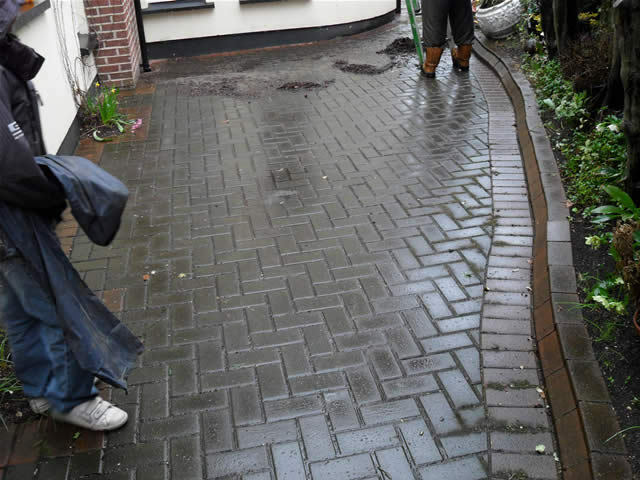 Read more about our paving services in Dublin here. We pride ourselves on our professional, prompt and friendly service. 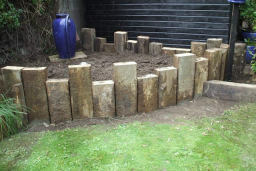 You can see previous projects can be seen in our gallery. If you don't see something similar to what you wish don't be put off from giving us a call. At Davitt Driveways we never hesitate to take on new creative design projects. 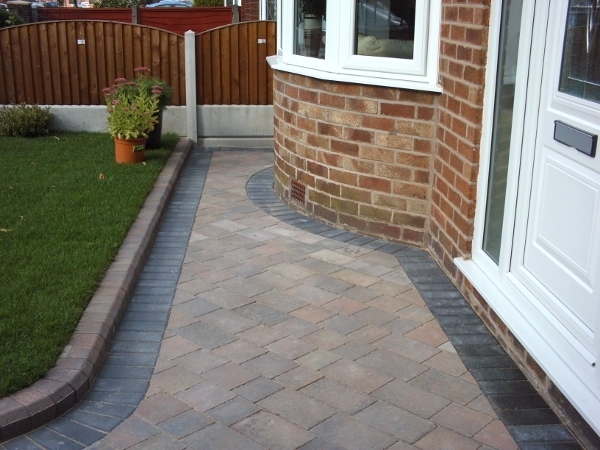 We have a very large selection of bricks and kerbing available for driveways or patios to suit your taste. 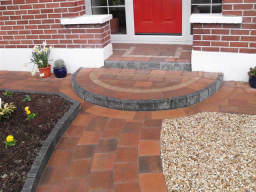 Dublin Paving, pathways, brick designing, kerbing and steps can also be incorporated into any project at your convenience. Working on various jobs on behalf of County Council. 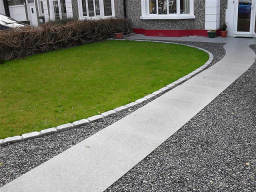 We are well known as the best providers of tarmac in Dublin. Contact us today for a free estimate on your "Tarmac Dublin" project. 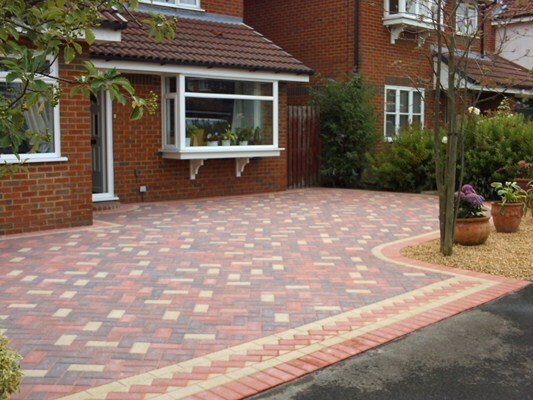 Davitt Driveways always deliver a high level of service to our customers. You are able be see this from our numerous testimonials, and our 5 star reviews on Yelp and Facebook. Contact us today for your patio needs. 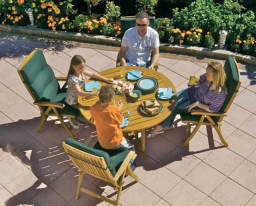 We have many years experience providing top quality patios in the Dublin area and beyond. For a free estimate and 100% price and quality guarantee on your "Patio in Dublin" project, call Anthony now. Larger paving projects are primarily done by an experienced tarmac contractor in Dublin. Finding the right contractor requires looking for one that has the skill sets needed to launch the project and see it to completion. This involves more than their own personal skills, but that of a crew of individuals that are committed to seeing the job through. Below are a few of the areas to consider before hiring a contractor for your next tarmac project. Development of commercial endeavors such as car parks and private or public access roads should involve the advice of a civil engineer. Geology, drainage and other factors must be taken into consideration to help formulate the plans for a secure paving project. A quality tarmac contractor in Dublin will work closely with a civil engineer to create plans that offer a firm foundation for the safety and longevity of the surface. There is hardly an area that you will not find tarmac in Dublin. It is used for driveways, car parks, playgrounds, shopping centers, hospitals, and seemingly endless roadways. Every one of these projects has been successful due to proper pre-planning and developing a strategy that results in a well-structured surface. Contractors offering tarmac services in Dublin understand the value of bringing together professional minds and opinions that lay the foundation for perfect results. You need to have an expert that can call on the experience of a team that has the proven ability to bring plans to fruition. You may have heard it said "no job is too big, or small," but does the contractor have the ability to scale up to a large project? This is important if you are planning on laying the foundation for a private roadway, extensive car park, or other large-scale tarmac surface project. Conversely, will they be able to scale back enough to complete a home driveway? Flexibility and scalability are desirable traits for a tarmac contractor in Dublin. There should be reasonable evidence that large jobs can be completed in an acceptable timeline. There should also be no fear that an army of heavy equipment will block up the neighborhood to tarmac a driveway. Davitt Driveways lead the way in Dublin for paving solutions. We provide free design and have extensive knowledge of the products. We are comfortable using a range of different paving materials with expertise in all. As a result of being out on the job continuously, we have built up lots of experience as paving contractors. Davitt Driveways are the best paving experts in Dublin. 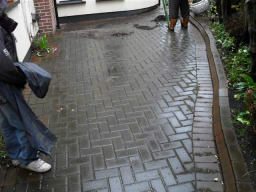 We have many many years experience with paving in Dublin and elsewhere and have built up a thorough knowledge of all types of paving and driveway. Have a look at our gallery to see some examples of the many different types of paving we have completed. We have the most experience in paving among our competitors. 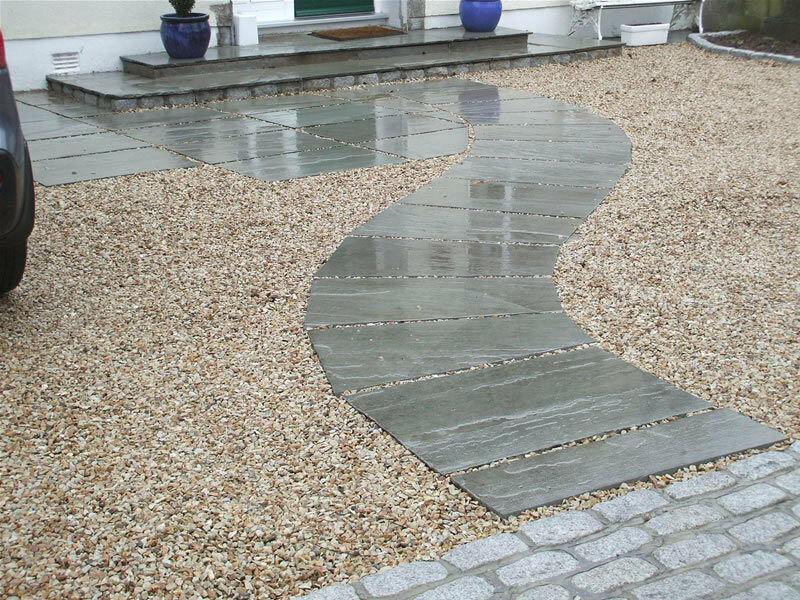 Among the paving experts in Dublin, there are none with more expertise than us. We have been rolling out our services all across Dublin for many years. We have built thousands of driveways in Dublin over the years. 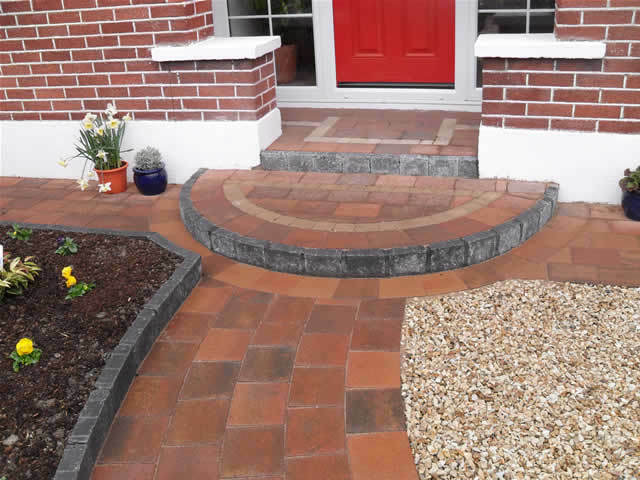 Take a look around the driveways and paving in Dublin and you can be sure that many of these have been built by us. If you want a recommendation from one of our former clients, let us know and we can arrange. People are always happy with our work. We offer a 100% price and quality guarantee meaning that we always ensure that our customers are completely satisfied before completing a project. Watch some of our testimonial videos for examples of how happy our customers are. Paving is an excellent choice for your home. It is flexible with shapes, colours & sizes and this can help to give your house it’s own character. We take great pleasure in being the foremost providers of paving Dublin and surrounding counties. To find out more about our services, call us today on 0871489196 and speak to Anthony. See what others had to say about our services below and get in touch. Driveways Dublin: Driveways are an important choice these days. You can choose from a variety of types of driveways. We can design your driveway or patio according to your needs or if you rather, have a look at our gallery to view our previous work. 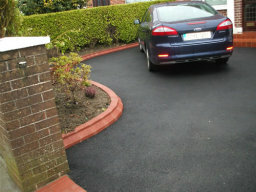 Davitt Driveways lead the way in Dublin for driveway solutions. We provide free design and due to our extensive knowledge of the products. 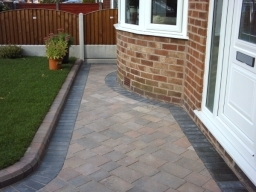 We are comfortable using a range of different driveway materials with expertise in all. 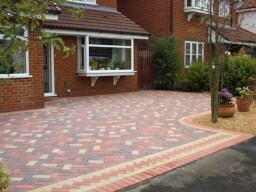 As a result of being out on the job continuously, we have built up lots of experience as a driveway Company. Your driveway is an essential part of your home. It is often the first things that people see when they get to your house and hence and this can help to give your house it's own character. 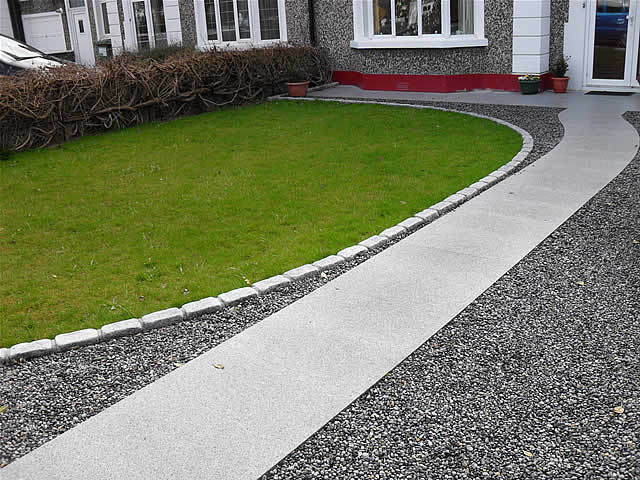 We take great pleasure in being the foremost providers of driveway in Dublin and surrounding counties. To find out more about our services, call us today on 0871489196 and speak to Anthony. See what others had to say about our services below and get in touch. "My driveway was recently completed and I was also very impressed with the willingness of Davitt Driveways. They helped to fulfil my ideas and offered useful suggestions in the design and layout. The quality of the work was excellent and hence, I can readily recommend Davitt Driveways as an excellent service and great value."